Home to the Wackiest Westerners on the Chisholm Trail! 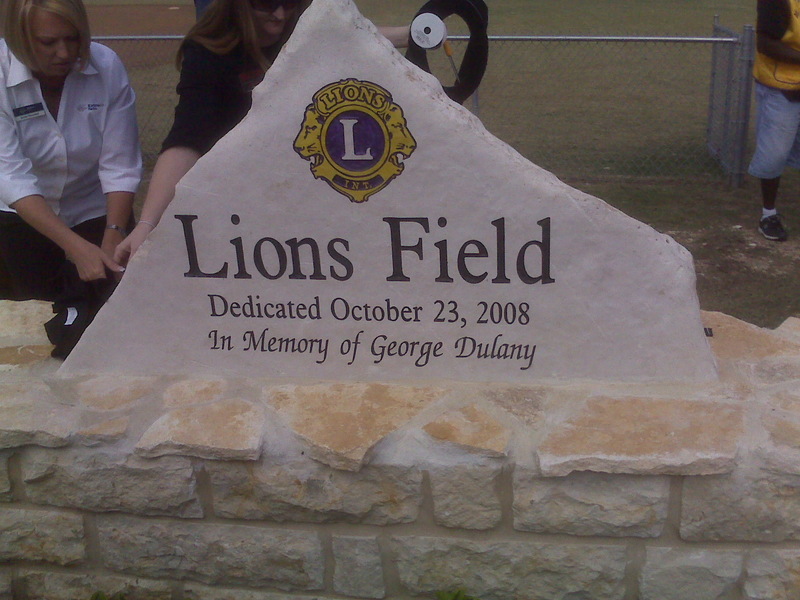 The recently refurbished Lions Field was dedicated to the memory of our beloved Lion George Dulany on October 23, 2008. The Belton Lions were joined by representatives from the City of Belton and Chamber of Commerce, as well as members of the Dulany family for the dedication ceremony. This entry was posted on Thursday, October 23rd, 2008 at 2:30 pm and is filed under Events. You can follow any responses to this entry through the RSS 2.0 feed. Both comments and pings are currently closed.